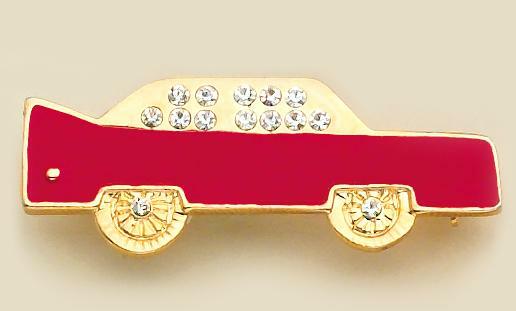 Red Car Pin set in gold finish and accented with Austrian crystals. Approximately Pin size : 1-3/4 in. long. Lead Free Please see our Red Car Tac TA84, and TA84.